Welcome to our national treasure. 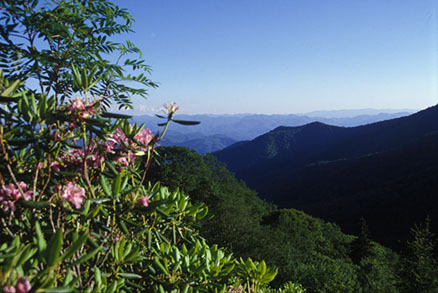 The Great Smoky Mountains National Park is one of the most pristine ecosystems in the United States. The park is largely inaccessible by car except for a few roads that skirt the park and by hwy 441 which runs from Cherokee and Gatlinburg. To see the best parts of the park you'll need to put on your hiking shoes and start walking. Trekking off the beaten path will be rewarded with solitude and some amazing sites. For example, a small barely marked trail from the Clingman's Dome parking area leads to Andrews Bald. The 1.5 mile hike is moderate and at the end, the hikers is rewarded some of the best-unobstructed views of the park. Winter hikes are also rewarding with the lack of traffic on the trails and with the leaves down the views are everywhere.